If you are a certified PMP or aspire to be one, take this quiz and test your knowledge of Professional and Social Responsibility of project managers. You are preparing for the PMP exam and using one of the best-selling study guides. The publisher owns the copyright of the guide. You have a doubt regarding a sample question from this guide, and would like to discuss it with your peers and seek their opinion. Which among the following options would be the BEST way to get help? Option A is incorrect. As the publisher holds the copyright of the guide, Option A is in direct violation of copyright laws. Option B might not be outright violation of copyright laws, but it’s still not the best option. In order to use excerpts from any copyrighted material, it’s best to request a written permission from the copyright owner. But since we don’t have any option that says obtain written permission from publisher, we have to find the next best option. Option C is not much better than Option A. Whether a person commits one murder or ten, he/she is still a criminal. Option D is not ideal, but can be reasoned as “fair use”. We are not publishing the excerpts from the book in a public domain, and we are requesting only those who already own the book to help, this option is the best among the four. It obviously limits our chances of getting help, but at least we do not infringe on others’ Intellectual Property. A common misconception among people is that acknowledging the source of a copyrighted material is a substitute for owner’s permission. Another misconception is that by citing the source of the material, we are giving free publicity to the author or the copyright owner, and thus bestowing a “favor” on them. We may like to think that way, but it may be against the law. 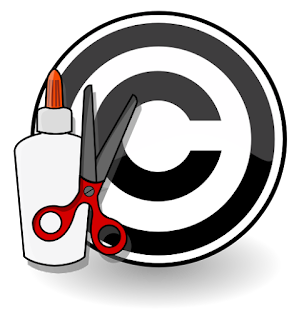 When it comes to copyright laws, the situation is not always black and white. I’m not an expert in this domain, but I did some research on this topic and gathered some information to address the aforementioned misconceptions. I would like to quote a few lines from the above page. When it is impracticable to obtain permission, use of copyrighted material should be avoided unless the doctrine of fair use would clearly apply to the situation. Material like Rita Mulcahy’s PMP Exam Prep, Head First PMP, PM Prepcast etc. are commercial in nature. I cannot see how taking excerpts from these sources would fall under the “fair use” doctrine. Now someone may also argue that the material is cited for “educational” purpose. If that’s the case, try writing to RMC Project (Rita’s company) asking them for permission to quote sample questions from their book or exam simulator for “educational” purpose in PMP exam prep forums, and see what response you get. Assume that Rita Mulcahy’s book has 200 sample questions. There are hundreds of PMP Exam Prep forums out there. If people post one new question from her book everyday in any one of those forums even “citing the source”, in 200 days the entire question bank will be out there in the public domain. That doesn’t seem fair. Interestingly, page 487 from Rita Mulcahy’s PMP Exam Prep, Sixth Edition book (Chapter 13 Professional and Social Responsibility) specifically highlights the point that taking excerpts from or reproducing “any part” of the book without “written permission” of the publisher, is a violation of Copyright laws and PMI’s Code of Ethics and Professional Conduct. I think that this should address any remaining doubts that anyone might have. As certified PMPs or aspiring PMPs, we are obligated to abide by the PMI Code of Ethics and Professional Conduct. Honoring other’s Intellectual Property rights is one of the “Mandatory Standards” of Respect (section 3.3.4 of the PMI Code). If in doubt, avoid use of copyrighted material. As the cliché goes - Better err on the side of safety. Frankly, I have a hard time with PMI's position on materials copyrighted into the PMBOK Guide in particular. Where is this going? "Knowledge" today has the "half life" of a banana. I just read that the half life of academic knowledge is two years- meaning roughly that by the time you graduate, what you learned in the first two years is half obsolete... Under those circumstances, we need to rethink the whole "knowledge creation" issue, and I think that we will find that PMI's approach is doomed. Getting back to the question, professionally, I find the fact that PMI allows Rita, Cheetah and others like them to prepare these kinds of materials that focus on "teaching to the exam" to be ethically questionable. Certainly not something I support nor encourage.